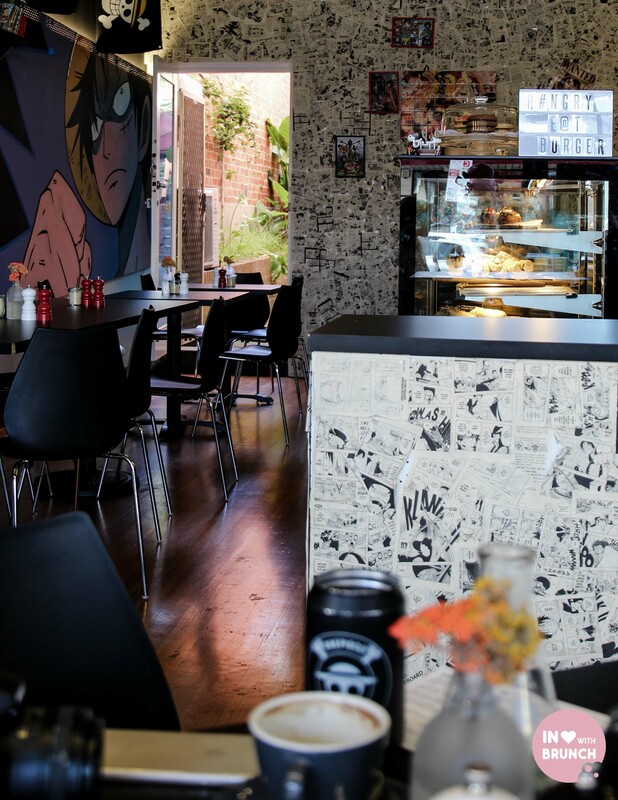 with its japanese anime theme, one plus piece in balwyn serves up a side of unique quirk that i’ve not seen in any other melbourne cafe. 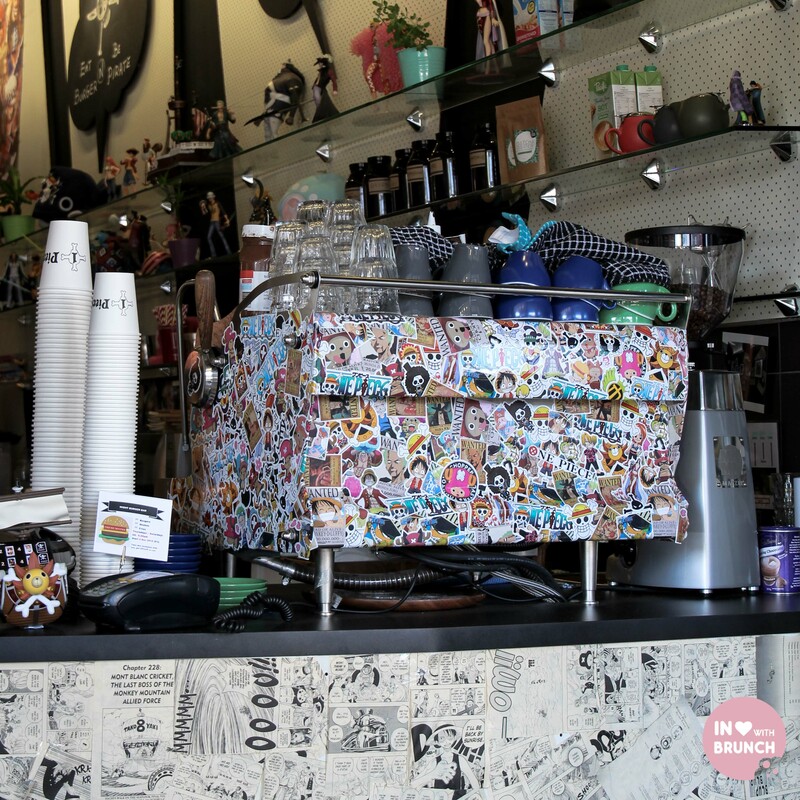 surrounded by a strip of shops and cafes along whitehorse road in balwyn, one plus piece has come into it’s own with an increasing presence on the cafe scene of melbourne’s east side as well as a recent feature by the burger weekly from new york city. 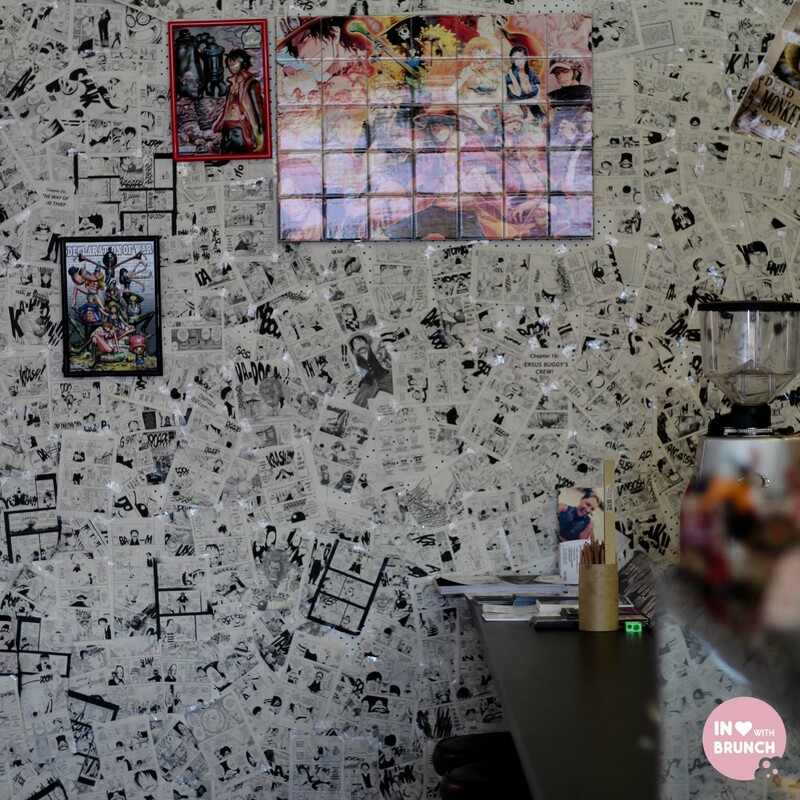 the interior has been decorated by energetic owner yvette in a plethora of anime stickers, cartoon pages + ornaments as well as some stunning paintings on the walls. 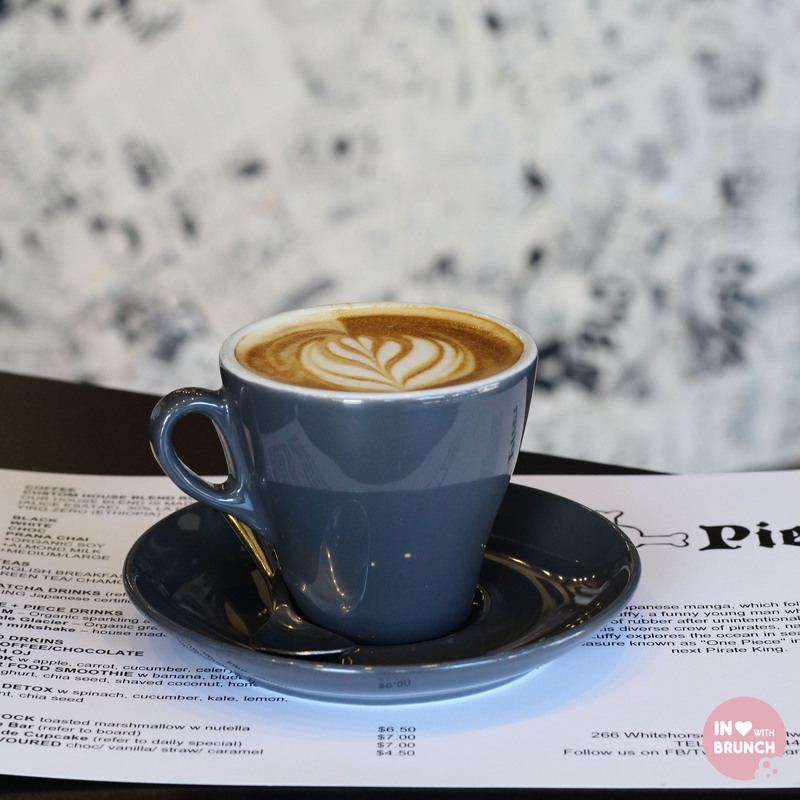 the menu has a strong asian influence which really shines through in the breakfast offerings, and we were lucky enough to try quite a few of the dishes. with a good mix of healthier and heartier dishes – there is plenty of choice for everyone. 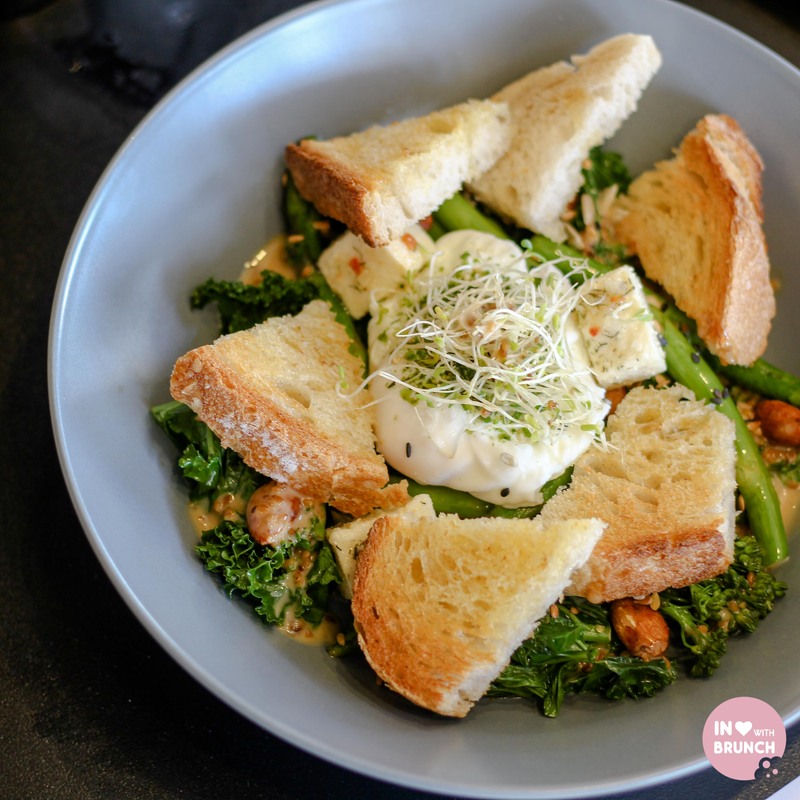 this bowl of healthy goodness had a beautiful dressing which really complimented the runny yolk + nutty almond flavours. 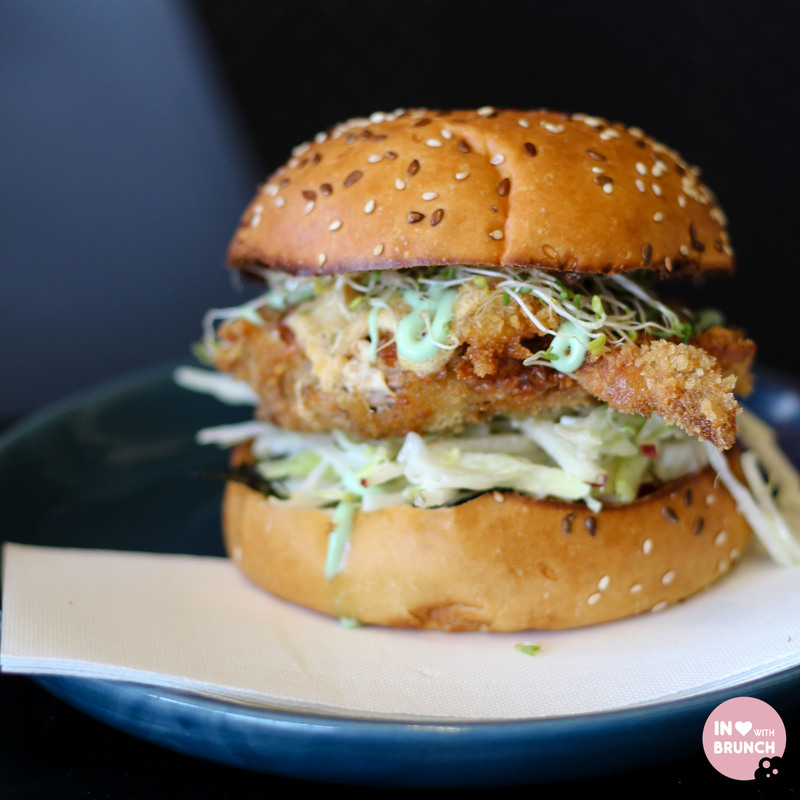 with a myriad of textures + flavours, this dish was really well executed with plenty of crunch and nutritional value. however, for me the toast was not required + also detracted from the yummy goodness underneath. my favourite dish of the morning, there was little to fault in this unique combination. i absolutely loved the roti – with its buttery flavour + crispy edges. the mexican flavours of the salsa, avo + cheese married well with the fried eggs with the asian influence brought in through the sesame seeds and apple shards + crispy kale on top. this one was hard to stop eating… really delicious! 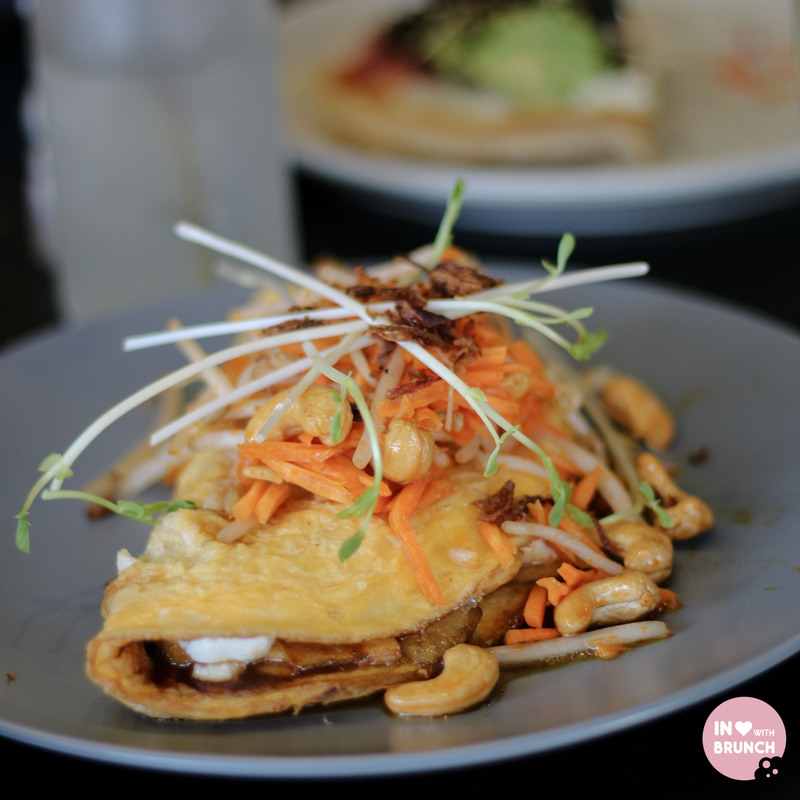 this asian-inspired omelette packed a punch with the chilli… which personally i loved! the hoisin mushrooms contributed a fantastic asian flavour, which was further lifted by the crunch of the carrots and cashews. the omelette itself was also well cooked – fluffy and creamy. 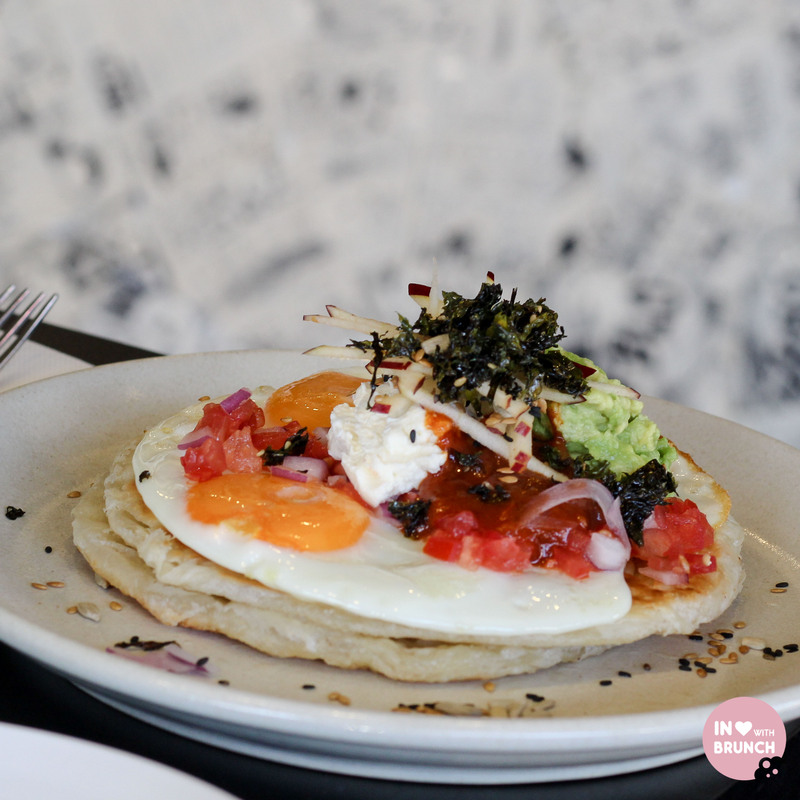 a really unique breakfast dish that i’ve not seen on any other melbourne menus. 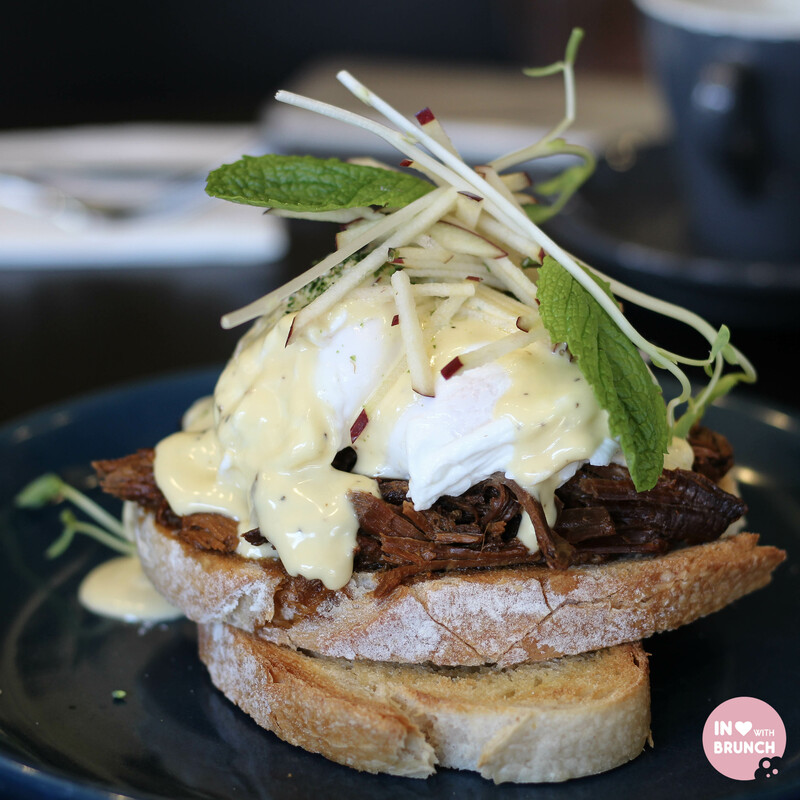 a rich dish full of complex flavours, this was an enjoyable eggs benedict served with perfectly poached eggs. personally, i’m more partial to a pulled pork, however the hollandaise was light and creamy with a lovely apple-cidery flavour. 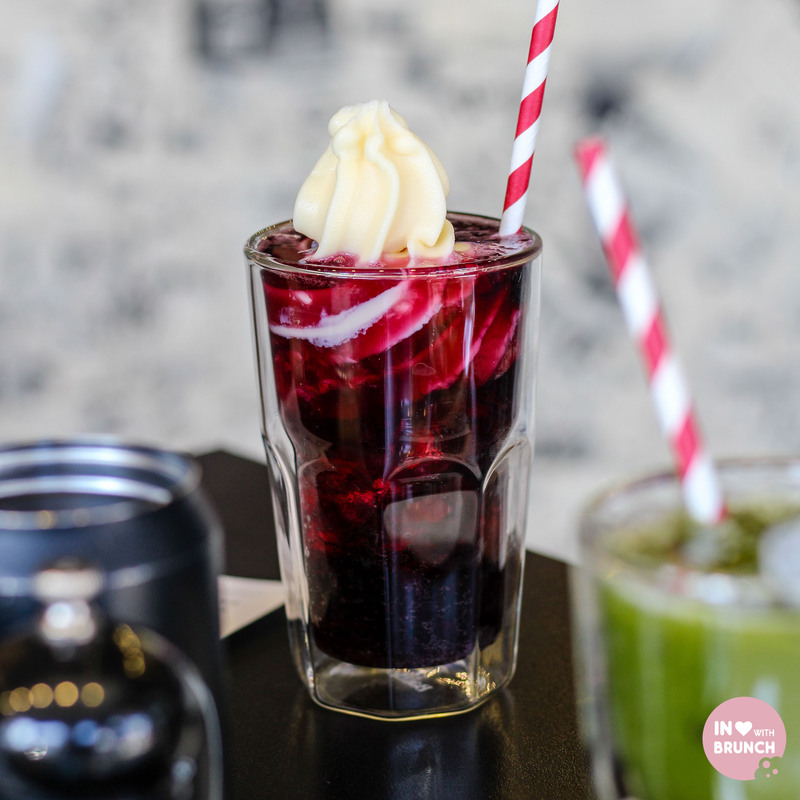 on the drinks front there is a rather extensive drinks menu on offer, including five senses coffee, matcha maiden and this delicious cold drink (above) made of sparkling grape juice + soft serve – a more sophisticated spider taking me back to my childhood… this was so good! 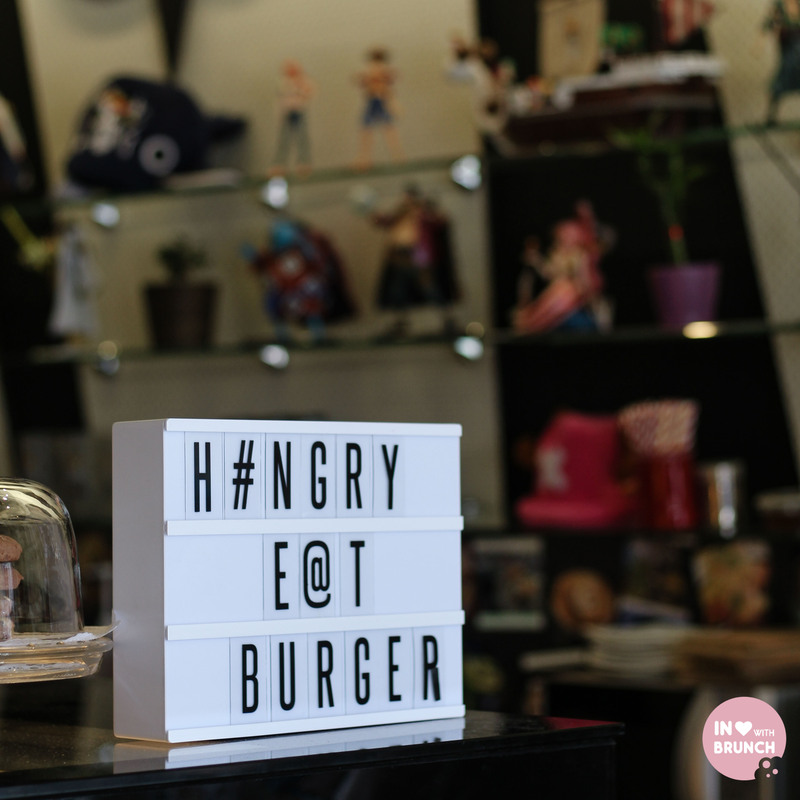 the night burger bar is also running as a feature on thursday through saturday nights… where you can wrap your hands around these drool-worthy angus beef double + soft-shell crab burgers. 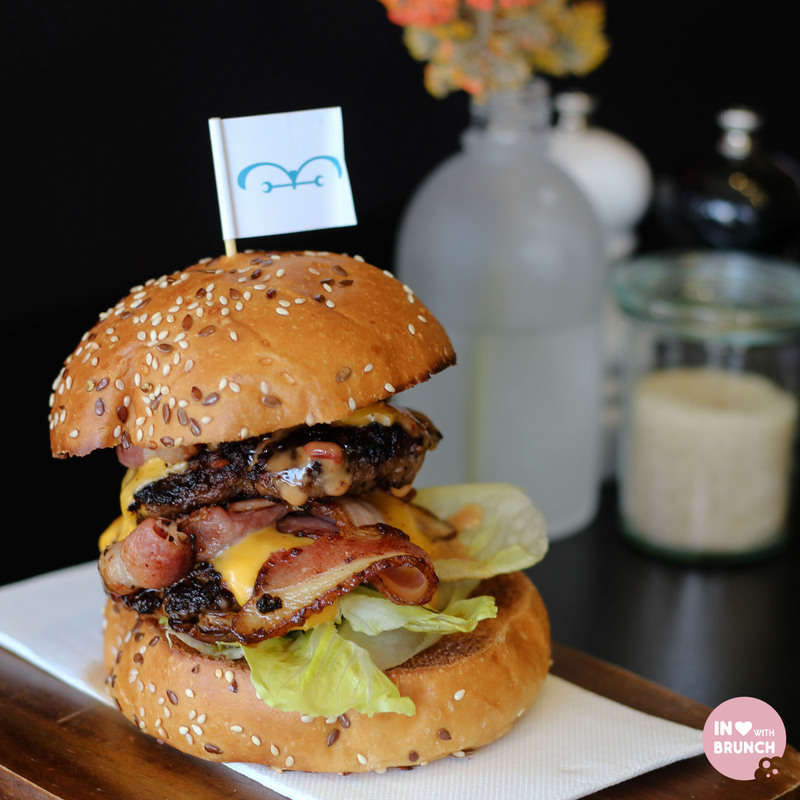 there are other beef burgers and a fried chicken and vege burger also on the menu. yum! 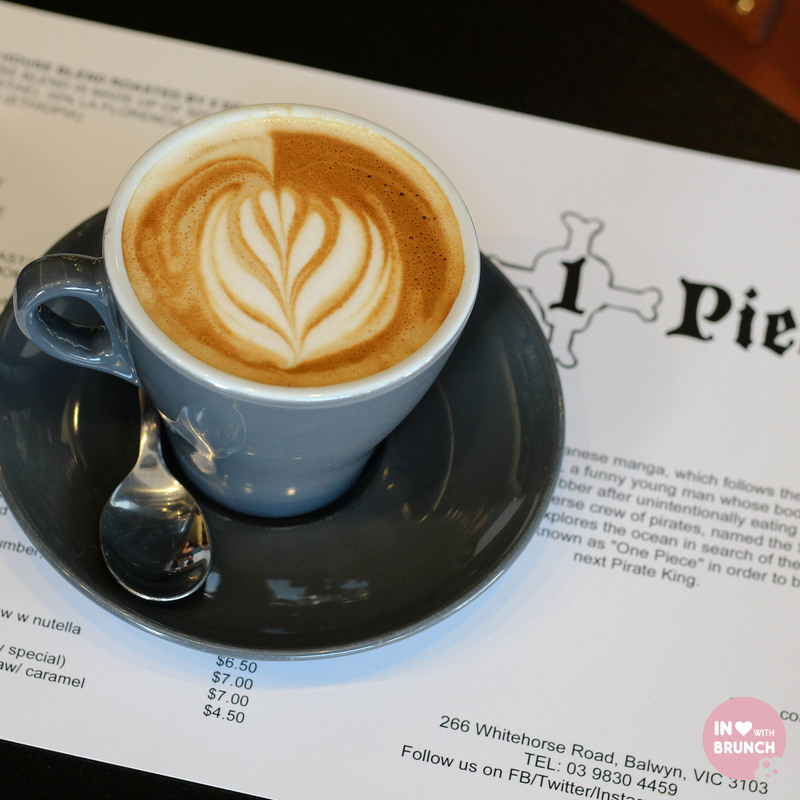 one plus piece is open seven days a week for breakfast, lunch and dinner and is a worthy eastern suburbs contender for a great melbourne brunch with a unique + animated (see what i did there?!) theme.